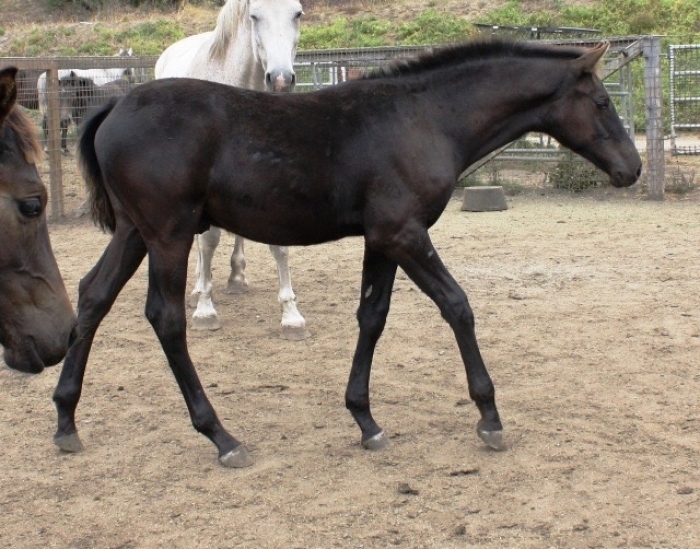 Crown Affair is one of the few direct Cor de la Bryere sons that are still alive. 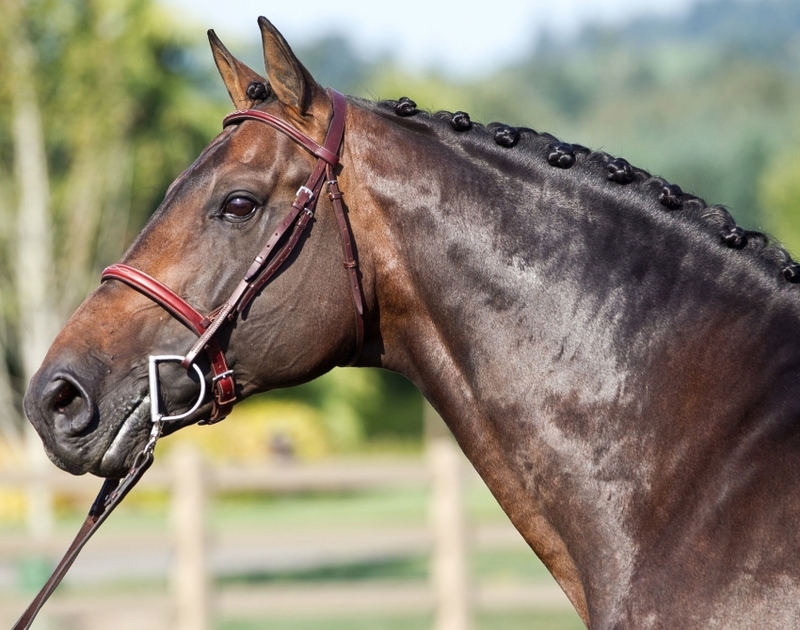 Breeders’ described Cor de la Bryere as a “gift from Heaven”; he has been especially successful producing jumping horses, as he passes on his incredible bascule, scope and jumping technique. 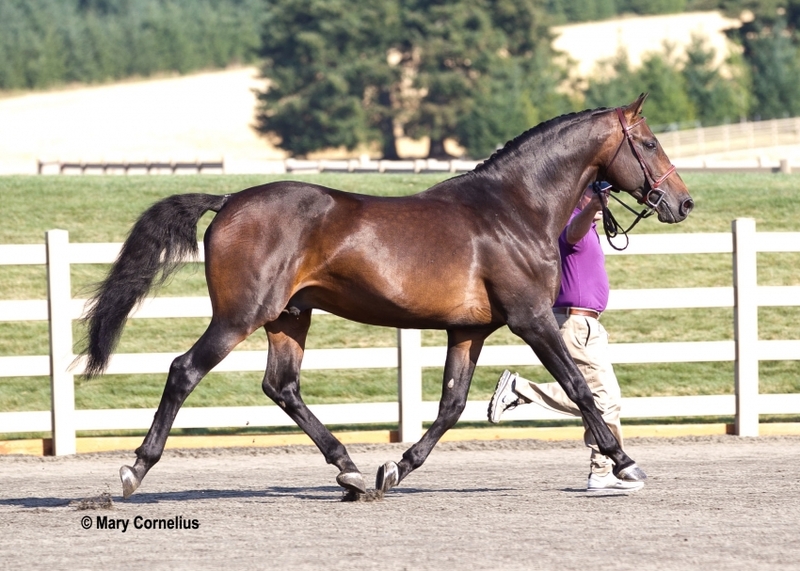 In Germany he produced 57 approved stallions and 188 offspring that jumped 1.40m or higher. Crown’s dam, Andante (by Capitol) produced the Prix St. George horse Chamberlain (by Calypso I), Catalina del Pierre (By Calido I) who jumped 1.40m with Gunter Treiber, and La Capitol (by Lavall I) who competed to 1.40m with Christoph Gallinger. 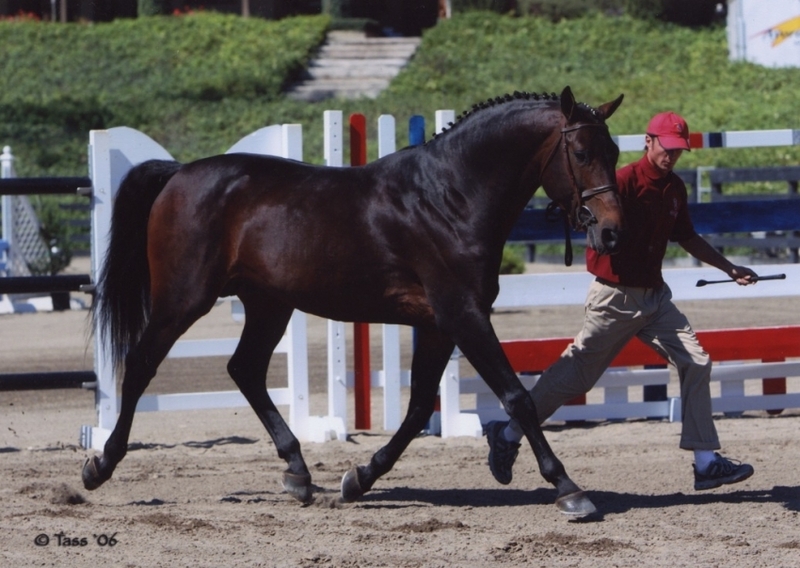 His grand dam, Iris S (by Metellus) produced the 1.40m jumping horse Atlas (by Athlet Z) with Ulrich Trettenbacher and the Bayern approved stallion Alasco Bavaria (by Alasca). 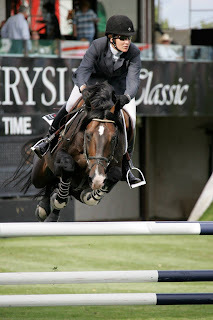 From Iris S line also comes the 1.45m jumping horses Sasu 7 (by Calido I) ridden by Evi Benstsson. 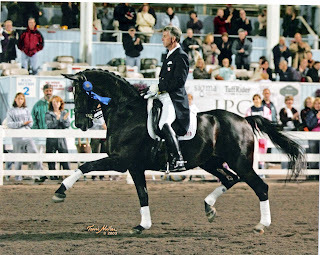 Crown Affair was the Zone 7 Horse of the Year in 2005 for Regular Conformation Hunters. Since being purchased by Yellow Dog Farm in 2006, he was ranked every year in the top 20 nationally in Amateur Owner Hunters 36 and over. 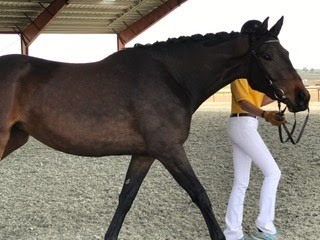 In 2007 Crown Affair was ranked 5th nationally in Amateur Owner Hunters 36 and over, and had a successful campaign Indoors, including being Reserve Champion in the Amateur Owner World Champion Hunter Rider Finals at Capital Challenge. 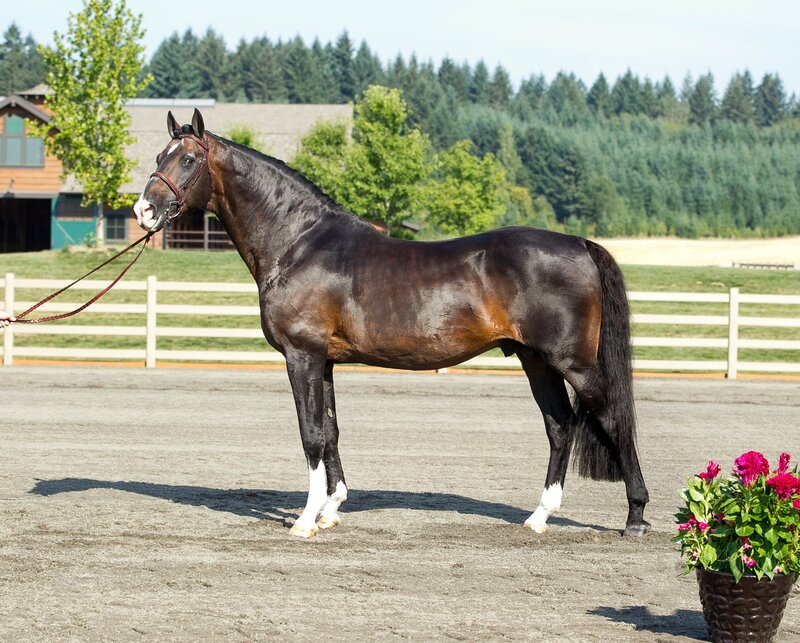 He was 3rd under saddle at Washington and 2nd at Harrisburg. 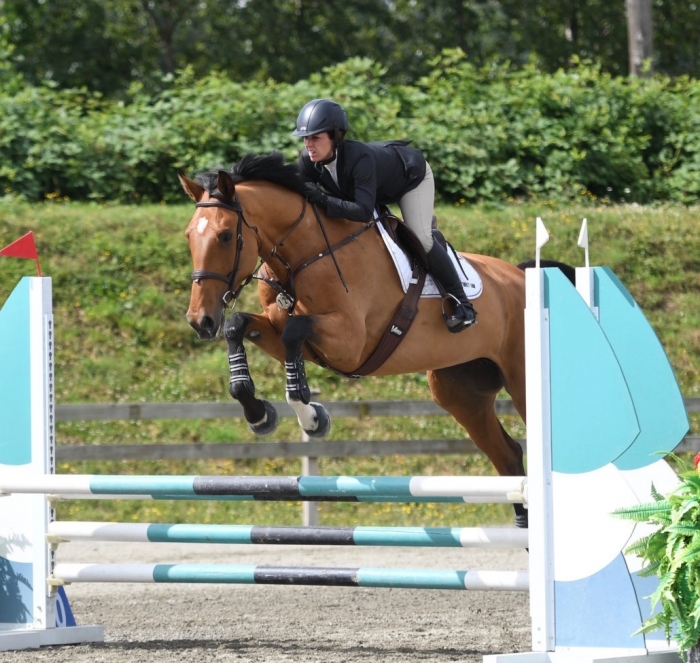 In 2011 Crown Affair continued his successful show career as a reputable Hunter Derby contender by winning two USHJA International Hunter Derbies and placing in the top ten of every Derby he entered. 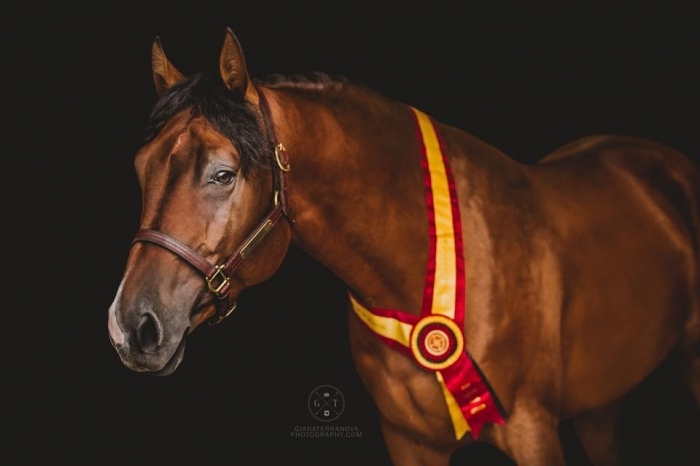 He finished 11th in the USHJA International Hunter Derby Finals in Lexington, Kentucky, and was the highest placing stallion. I am interested in learning more about Crown Affair.